You will earn 170 WayPoints for each product that you purchase. Building a complete N #8 double crossover was once a task left to only the most talented track builders. Not any more! Using our Double Crossover fixture any modeler can build a great looking, and great performing complete double crossover. In addition to being able to build both single, and double crossovers, this fixture can also be used to build N #8 turnouts. A very versatile investment. 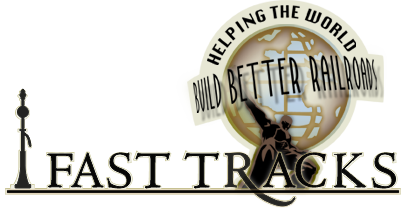 Build crossovers that not only look great, but will completely eliminate track related derailments and frustration. Can Be Built Quickly - Build a crossover in a few hours! Crossovers are constructed by building two symmetrical halves of a crossover in the Assembly Fixture and then joining them together to form a complete double crossover. In addition to crossovers, this fixture can also be used to construct regular turnouts as it uses the same geometry as our standard turnout fixtures. 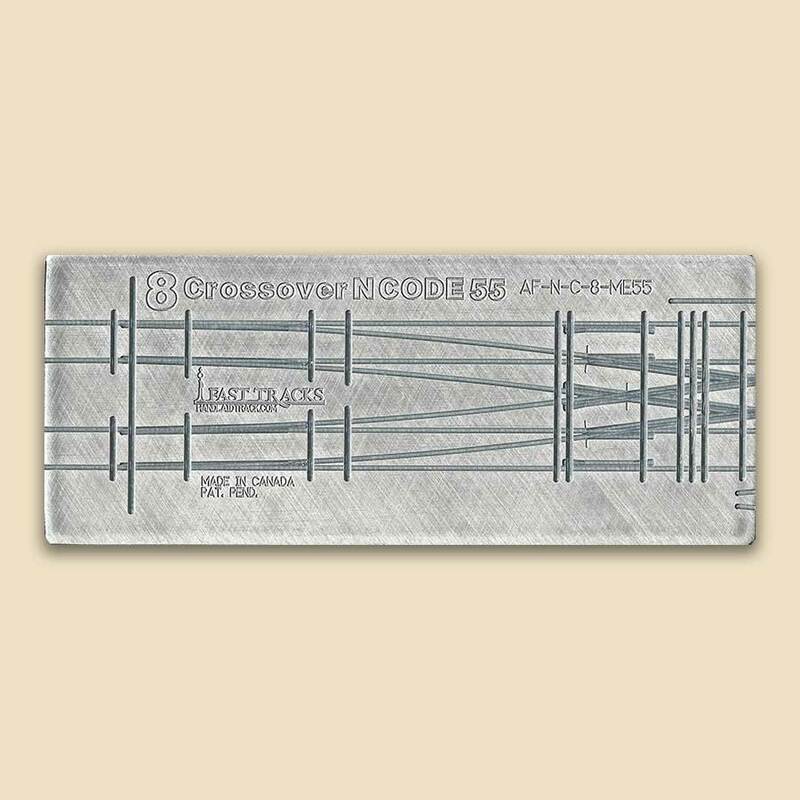 In addition to code 55 rail, you will also need to purchase matching 0.03125" (0.8mm), (7 scale inches) thick, N CopperHead PC board ties for crossovers manufactured by Fast Tracks. Detailed schematics and descriptions about how to wire a double crossover using four Tortoise switch machines can be found on our discussion forum. These instructions will work for both DC and DCC operations. Note: We currently do not have documentation about how to build single crossovers with these fixtures, however the techniques used are similar to building double crossovers. Get a head start by downloading our track building guide for crossovers now. What can be said? These are excellent devices for accurate assembly of crossovers. Default Turnout Length 13.61" (345.7mm) This is the length of the turnout on the QuickSticks. Measured from end tie to end tie. Minimum Turnout Length 13.07" (332mm) This is the shortest possible turnout length. Measured from the end PC board tie to end PC board tie. Diverging Route Radius 36" (914mm) The minimum radius in a straight turnout. H - 0.03" (0.8mm) The actual size of the tie. Secondary Frog Angle 14.3° The second frog angle for any switch that has two frogs. Track Gauge 0.36" (9.1mm) The distance between the stock rails. Track Spacing 1.09" (27.7 mm) The center to center distance of the parallel track-Vandana.